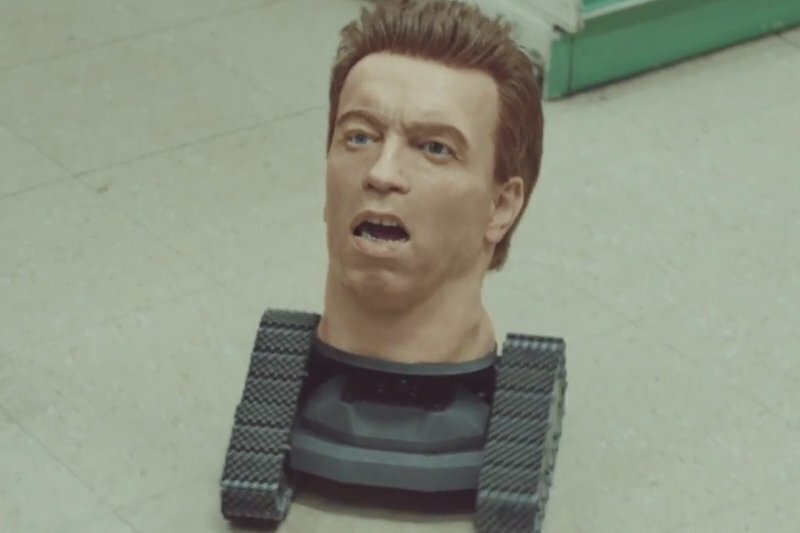 Arnold Schwarzengger’s disembodied head has just made me £615. When I first took out a credit card, back in 1997, it came with a card payment protection insurance policy. It was annoying because I never asked for it, but it was only a couple of quid a month, and as it was my first credit card, I wasn’t really sure if it was something that I needed or not. So I left it. It seemed to be a fairly amorphous kind of insurance. Ostensibly, it was to help me out in the event that I couldn’t pay my bill, but it also seemed to offer lots of other services too. At one point, they sent me a key ring and some stickers to put on stuff, so that if they ever got lost, then they would find their way back to me. It annoyed me, but not enough to actually get around to cancelling it (which, every time I looked into it, seemed harder than it ought to have been). Apparently, it ultimately took me until 2005 to cancel the damn policy, which I think is when I binned the credit card. I'd long since assumed that this was my own inertia that caused this and that there was no one to blame but myself, but then I saw that advert caught a couple of months ago and it was Arnold Schawarzenegger’s disembodied head shouting at me that finally got me off my (metaphorical - I remained seated throughout) arse and looking at the website of the financial ombudsman to see if I maybe had a claim. One 16 (sixteen!) page form and a long conversation with a claims assessor from HSBC later, and the result is an offer of settlement of a little more than £615. The statement that came along with the offer showed that I had paid a total of £218.58 in premiums over the time that I had the policy (that's approximately £2.30 a month! ), with the rest made up of lost interest and things like that. Given that I wasn’t 100% convinced that this was PPI in the first place or that it was significant enough, this is all something of a bonus. I wouldn't normally be shouting "where there's a blame, there's a claim" from the rooftops... but this is the banks we're talking about, and who really feels sorry for them? That couple of quid a month really niggled me for EIGHT YEARS. Not enough to actually do anything, but.... you know. Wish I'd known as I may be working in this area at the moment... for anyone else reading... don't claim now, wait until closer to the date. More interest, innit. Thanks G. It was all a pretty pleasant surprise anyway. I wasn’t convinced I was due anything at all and couldn’t really remember any of the dates or anything, so it’s all good!